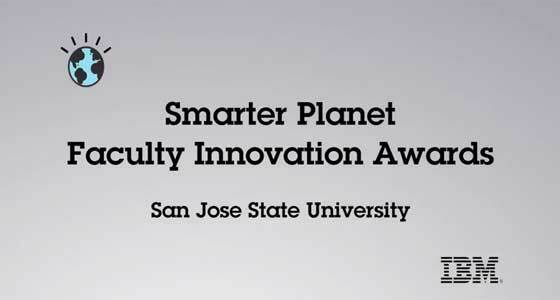 Department of Computer Science Professor Chris Tseng is one of 50 global recipients of IBM’s inaugural Smarter Planet Faculty Innovation Awards. Each professor, representing 40 universities in 14 countries, has been awarded a $10,000 grant to develop innovative new curricula that address global challenges in fields such as transportation, health care, water and energy. “We need to focus on developing more advanced skills so that students around the world are equipped to tackle real-world issues when they enter the workforce,” said Jim Corgel, general manager of IBM Academic and Developer Relations. These real world issues include using technology to help scientists and public health official gather and manage information on infectious diseases, an area of interest for Professor Tseng. IBM’s overall goal is to prepare students for future leadership in a variety of industries by exposing them to Watson-like technologies in the classroom, sparking collaboration and innovation. Watson is the IBM-built machine that bested humans to win the game show Jeopardy during episodes aired in February. The machine understands words and sentences rather than the formatted data computers normally process, according to IBM. These new classes are being taught in the 2011-2012 school year. Find out more about the award winners.